Since 1969, the National Employment Law Project has worked through the ebbs and flows of laws regulating worker protections in the United States. While much has changed in the past five decades, the need to push forward a pro-worker agenda has remained, and many of the same issues NELP tackled in the 1970s continue to influence NELP’s work in 2019. Two notable initiatives include the improvement of unemployment insurance and the fight against racial discrimination in the workplace. In the 1970s, NELP was busy advocating for those who were unemployed—both navigating and influencing the many changes to unemployment insurance that took place during that decade. Through litigation, NELP defended several groups of workers who had been denied unemployment insurance, including those who had moved outside the continental United States and workers with undisclosed criminal records. In 1973, NELP argued in front of the Supreme Court on behalf of federal workers who did not have the right to hearings after being denied unemployment benefits—a right they won in 1976 as a result of NELP’s legal advocacy. NELP’s work on behalf of unemployed workers did not stop there. Effective in 1978, the Unemployment Compensation Amendments of 1976 extended unemployment benefits to a range of workers who were formerly excluded, including those who were employed in agriculture, domestic work, state and local governments, and non-profit elementary and secondary schools. To help legal advocates navigate these new laws, NELP issued one of its earliest reports in 1977—A Guide to Unemployment Compensation Law and Issues. In 1978, Congress established a National Commission on Unemployment Insurance to examine the nation’s unemployment insurance system. NELP played a leading role in expressing the viewpoints of legal advocates who represented unemployment claimants, coordinating the testimony of local legal services offices at public hearings across the country. In addition to advocating for the unemployed, NELP helped to slow the tide of racial discrimination at work in the 1970s. Founded in the wake of the civil right movement, NELP played an active role litigating cases and educating legal services attorneys around Title VII of the Civil Rights Act of 1964—a law prohibiting discrimination based on race at work. Founded in the wake of the civil right movement, NELP played an active role litigating cases and educating legal services attorneys around Title VII of the Civil Rights Act of 1964—a law prohibiting discrimination based on race at work. In 1971, NELP issued its first report—Legal Services Manual for Title VII Litigation. The manual was revised throughout the 70s, and not only provided advice on how to apply the law, but offered examples on the subtle ways that employers unlawfully discriminate—including written tests unrelated to the aspects of a job and the request for conviction records on employment applications. When Title VII was amended in 1972 to include state and local government workers, NELP litigated several important cases. 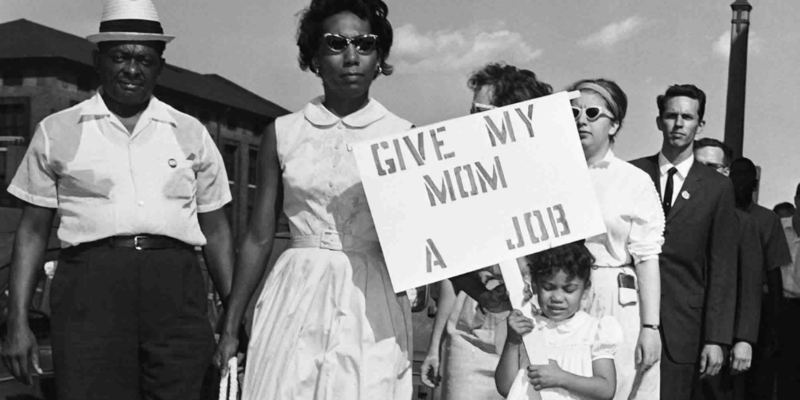 NELP joined Rural Legal Services in Leflore, Mississippi on a 1973 case to fight discrimination in the Mississippi Welfare Department’s hiring process. The case lasted nearly 13 years, and in the end, applicants who were turned away received back pay and the department was required to put an end to its discriminatory practices. NELP litigated similar Title VII cases on behalf of state and local government workers throughout the United States. NELP also helped litigate cases on behalf of workers facing discrimination in the private sector. In 1973, NELP joined the NAACP to oppose a plan that New York’s construction industry offered up as a way to comply with anti-discrimination laws, but in reality, did little to stop discrimination. By 1979, NELP was actively litigating 30 Title VII cases, and started a quarterly newsletter—Employment Law News—to update legal services attorneys on developments in Title VII litigation, unemployment insurance, and other legal issues facing workers at the time. Over the following four decades, NELP continued to push for a stronger unemployment insurance system and an end to racial discrimination in the workplace, publishing reports and offering technical assistance to unions and grassroots organizations. Today, NELP has mostly moved away from direct litigation, but through policy initiatives, is working to strengthen our unemployment insurance system and helping put an end to structural racism. In 2017 and 2018, NELP helped workers navigate the Disaster Unemployment Assistance program when hurricanes and wildfires devastated large swaths of the United States—a project that has continued into 2019 as benefits have been extended to those affected by Hurricanes Irma and Maria. In addition to jumping into action when crises demand, NELP continues to push to improve the U.S. unemployment insurance system. NELP makes recommendations on how states can improve their current systems and reminds policymakers not to forget the lessons learned during the last recession. Since 2005, NELP has worked to “ban the box”—pushing both public and private employers to remove questions about applicants’ arrest and conviction records on job applications. The topic was covered in NELP’s Title VII manual nearly 50 years ago. To help ensure that everyone has a fair chance to work, NELP has developed a guide for advocates who would like to see their city or county join the 33 states and more than 150 localities that have adopted ban-the-box policies. Today, NELP continues to push the envelope on this front through our efforts to reform occupational licensing laws for people with records. 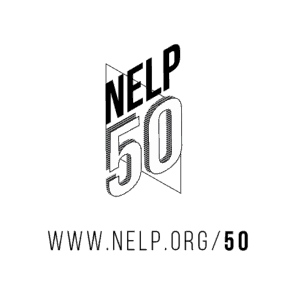 As NELP enters its next 50 years, we will continue to work through the ebbs and flow of laws and policies that affect working people—advocating for a stronger unemployment insurance system and an end to racial discrimination in the workplace.